Asia is the largest of the 7 continents. There are 48 countries in Asia. Most people of Asia are Chinese, Japanese, Indian, or Arab. The main religions include Buddhism, Hinduism, Taoism, Jainism, Christianity, and Shintoism. The largest cities of Asia are Tokyo, Seoul, Jakarta, Dehli, Mumbai, Manila, and Shanghai. Asia is surrounded on three sides by oceans. The Pacific, Artic, and Indian oceans all surround Asia. The land of Asia is divided into six regions. 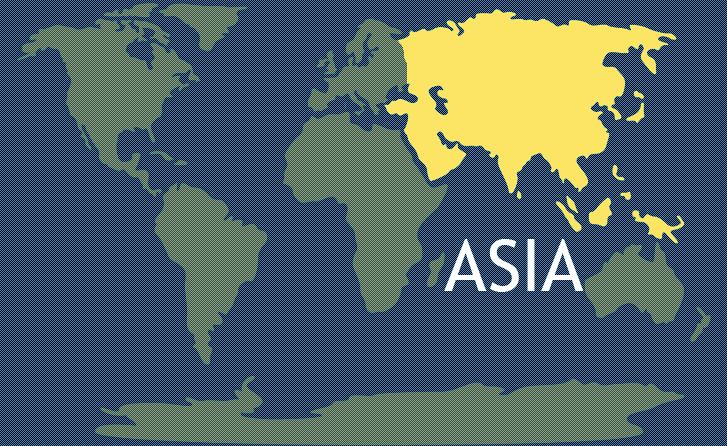 These six regions are North Asia, Central Asia, Southwest Asia, South Asia, Southeast Asia, and East Asia. Each region has something unique to offer. North Asia is also known as Siberia. It’s extremely cold year round with below freezing temperatures. Snow and ice cover Siberia for most of the year. Siberia is the largest land area of Asia. It is bigger than the country of Canada! This northern region has the most land but the fewest people. Northern Asia is home to the famous Siberian Tiger and Husky dogs. Despite the extreme cold, the area is a leading world producer of oil, diamonds, gold, and timber. East Asia is the region with the most people. China is the largest country in East Asia. China has the most people of any country in the world. To control the population, most families are only allowed to have one child. There are many different languages spoken in China. The main languages spoken are Mandarin, Yue, Wu, Minbei, Minnan, Xiang, Gan, and Hakka. The fourth longest river in the world runs through China. It is the Yangtze River. The Giant Panda lives near the Yangtze River. China is most known for The Great Wall of China. It’s the largest man-made structure. It is 5,500 miles long. Central Asia is where the countries of the former Soviet Republic were located. 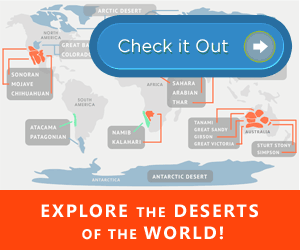 Central Asia is made up of deserts, mountains, and plateaus. Many people of Central Asia earn their living by raising animals such as sheep or goats. Southwest Asia is also called The Middle East. The Middle East is known as the “Crossroads of the World” because it is where the three continents of Asia, Africa, and Europe come together. Most of Southwest Asia is desert. One of the most fascinating places to visit is the Dead Sea. It’s located at the lowest point on earth. The Dead Sea is 417 meters below sea level. It’s the world’s saltiest body of water. It’s so salty that most living things cannot survive in it. Only bacteria and fungi can survive the salty waters of the Dead Sea. People actually stay afloat in the Dead Sea! Even the rocks along the seashore are salt-covered. Shepherds walking along the shoreline made history when they discovered ancient biblical writings rolled inside of glass bottles. These became known as the Dead Sea Scrolls. South Asia is made up of many mountain chains including The Himalaya Mountains. The tallest mountain in this area is Mount Everest. It’s part of the Himalaya Mountains chain. Thousands of people have climbed Mount Everest. This is a dangerous climb at 29,029 feet! The first person to climb to the top of Mount Everest was Edmund Hillary from New Zealand. The largest country in South Asia is India. Over one billion people live in India. This is almost one-fourth of the world’s population! Many different languages are spoken in India. The most common languages heard are Hindi, Bengali, Telugu, Marathi, Tamil, and Urdu. Many tourists from all over the world come to India to tour the famous Taj Mahal mausoleum. Southeast Asia has thousands of islands surrounding a strip of mainland. Japan and Indonesia are located here and are made up of many smaller islands. These countries along with China lead the world in manufacturing goods. Southeast Asia has large rice farms. This region gets a lot of rain which is needed for growing rice. Read more interesting facts about Asia. Thanks For Information About The World. It help to easy understand oceans and continents..Please add details of Countries with oceans Page. This is so interesting to know. I think its the first time I have read about all seven continents in the world. I must confess that I learned a lot! It is so nice to know the information of our continent. I want to inform all of this site viewer and this site owner of publisher, that is “The Highest Peak ” of the world is ” The Mount Everest ” which is located at my country ” Nepal”. The Mt. Everest is known as “Sagarmatha” in Nepal. Publisher should write this thing and peoples will know the correct information. And another important thing, all over the world know about the “The Light of Asia”, ” Gautam Buddha” but I think the publisher don’t know about this. So he only write about this. The Light of Asia ” Gautam Buddha” was born in Nepal. I want to suggest and request to the publisher of this site to mention this above this.